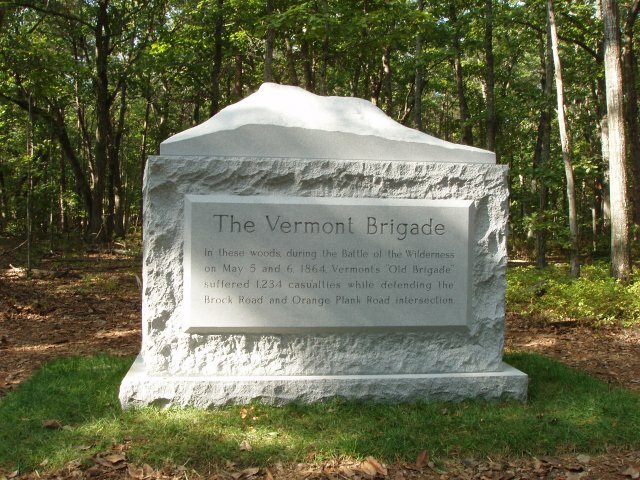 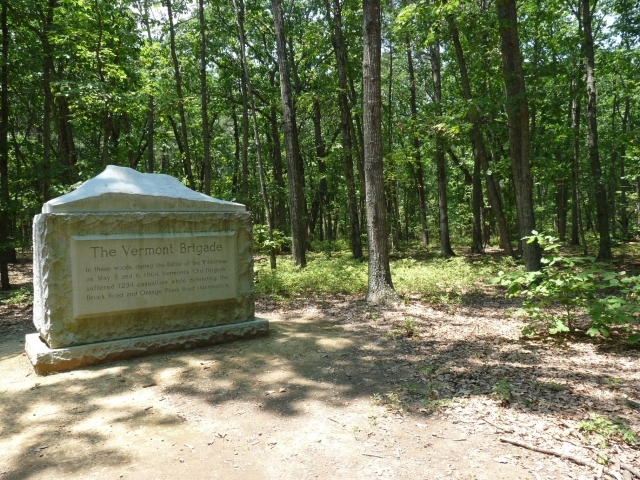 Inscription: In these woods during the Battle of the Wilderness on May 5 and 6, 1864, Vermont's "Old Brigade" suffered 1,234 casualties while defending the Brock Road and Orange Plank Road intersection. 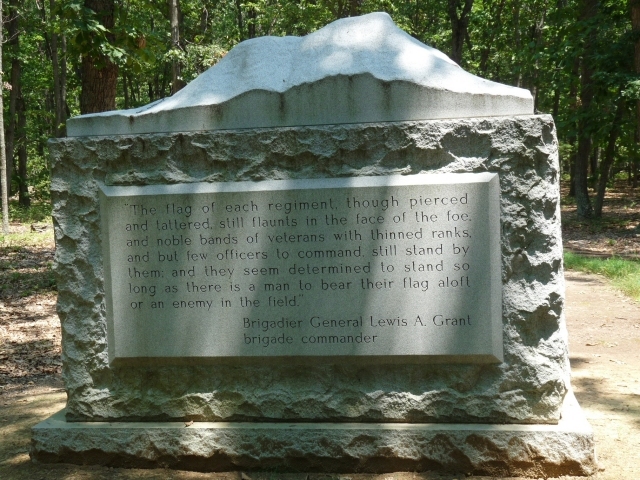 Inscription: The flag of each regiment, though pierced and tattered, still flaunts in the face of the foe, and noble bands of veterans with thinned ranks, and but few officers to command, still stand by them; and they seem determined to stand so long as there is a man to bear their flag aloft or an enemy in the field. 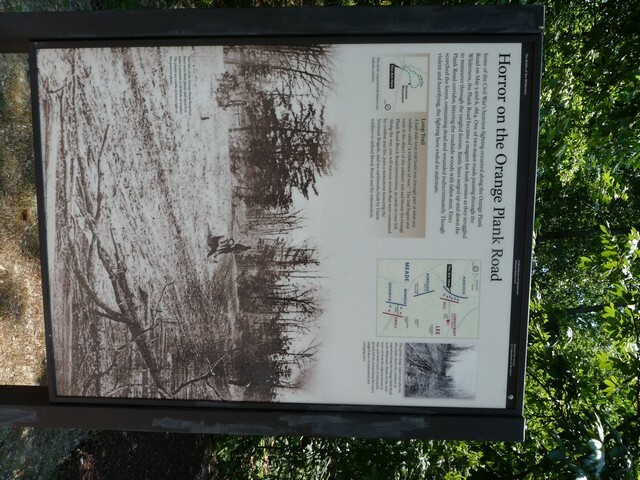 First Courtesy of Russ Smith, Superintendent, Fredericksburg & Spotsylvania National Military Park. 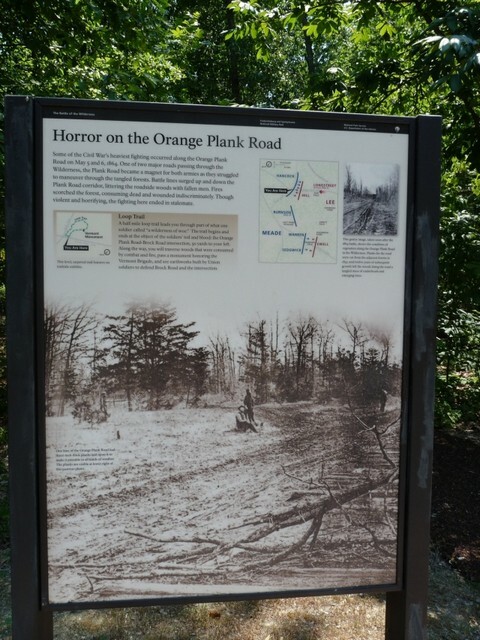 Remaining photos contributed by Ron Foster.